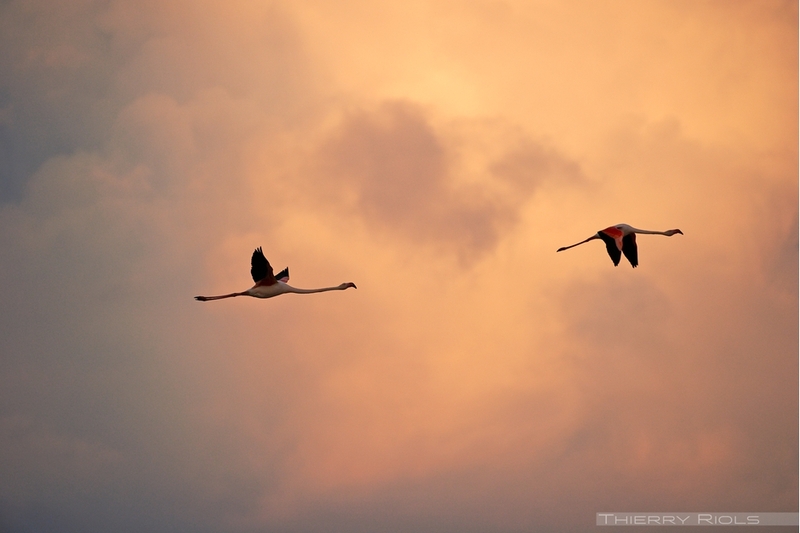 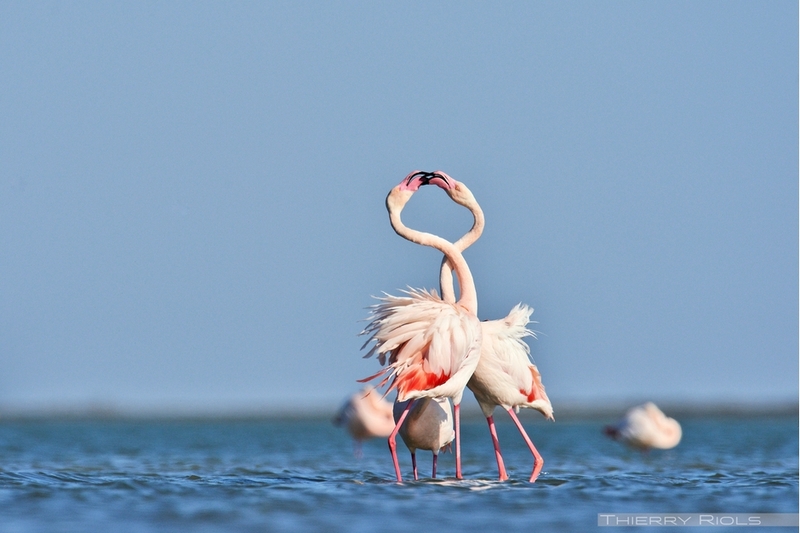 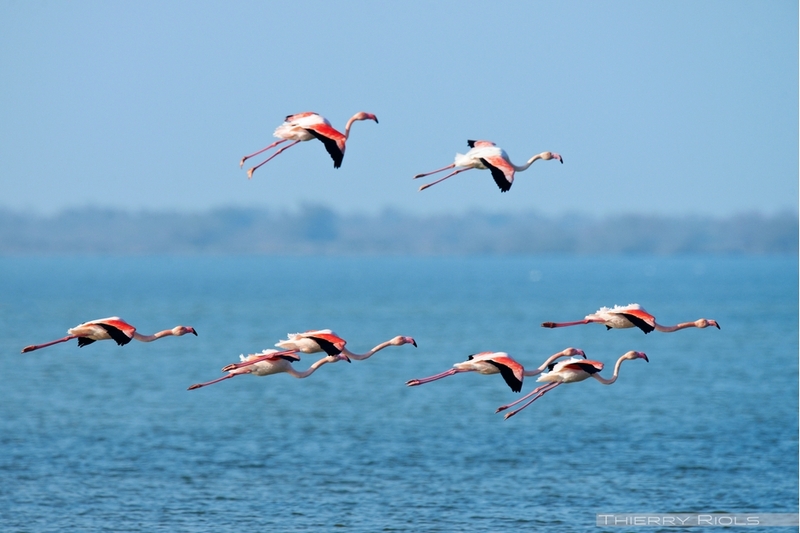 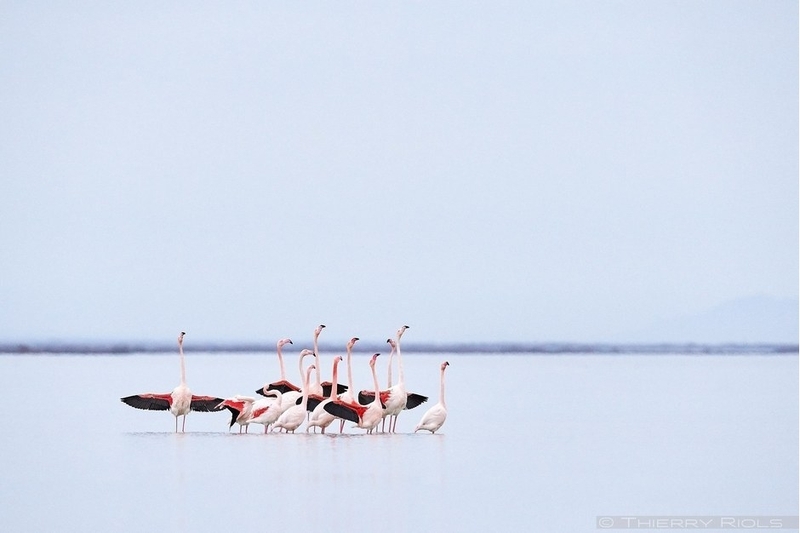 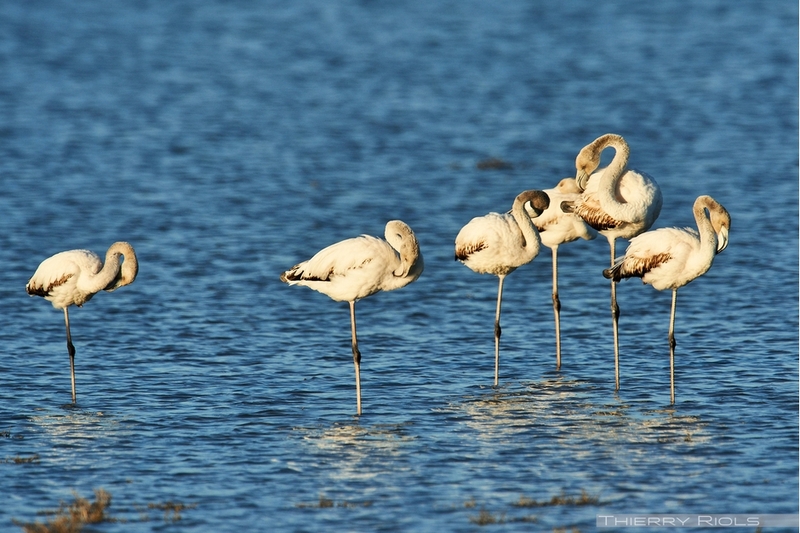 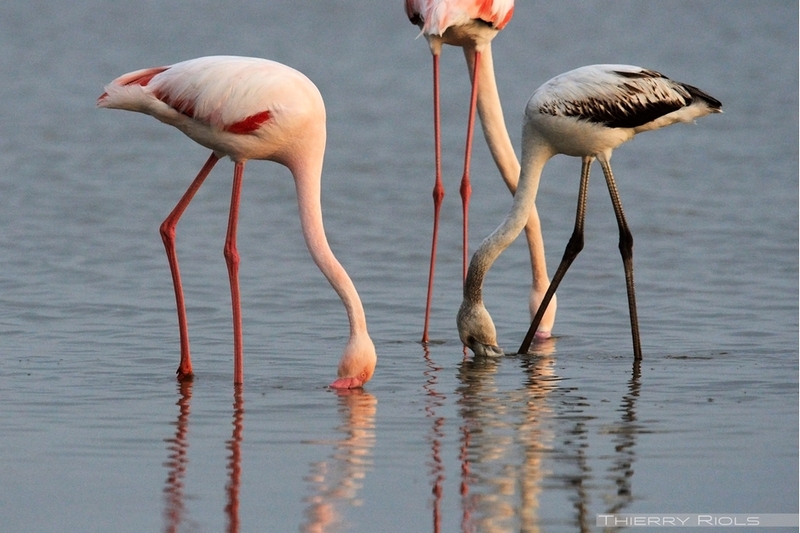 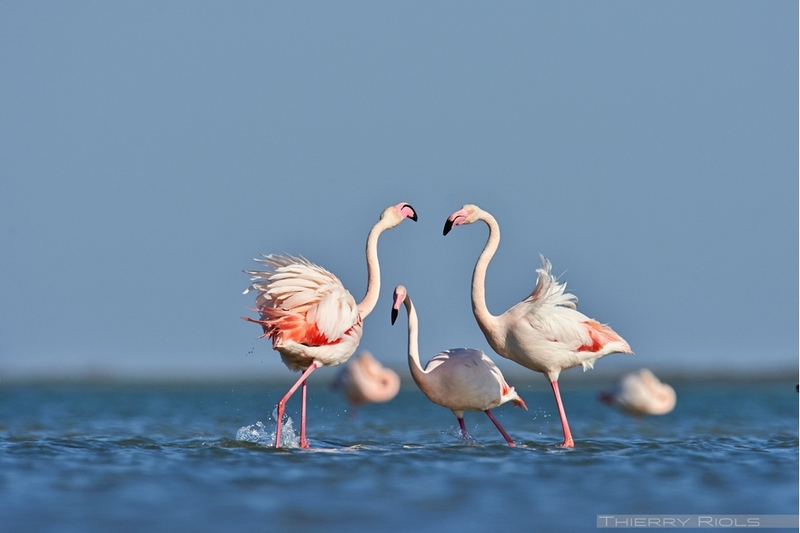 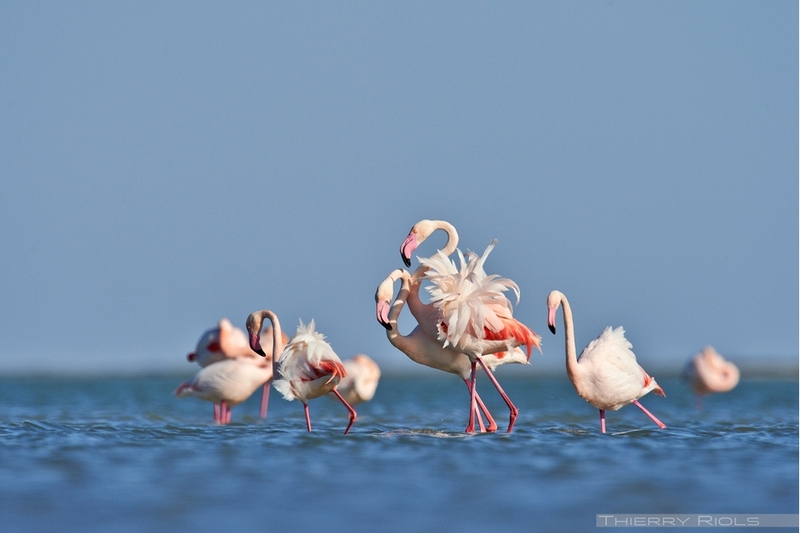 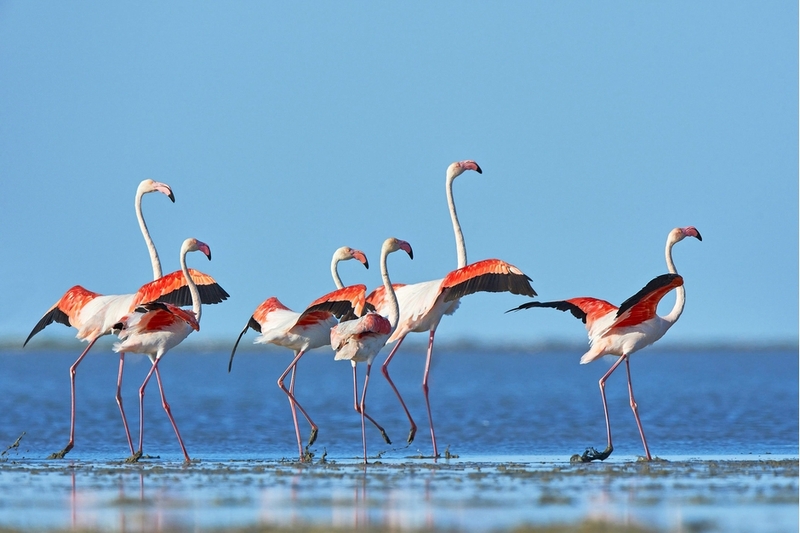 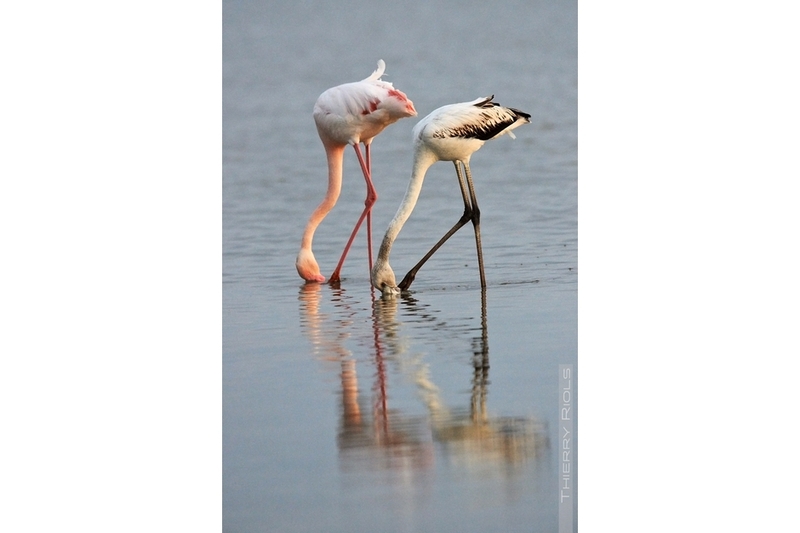 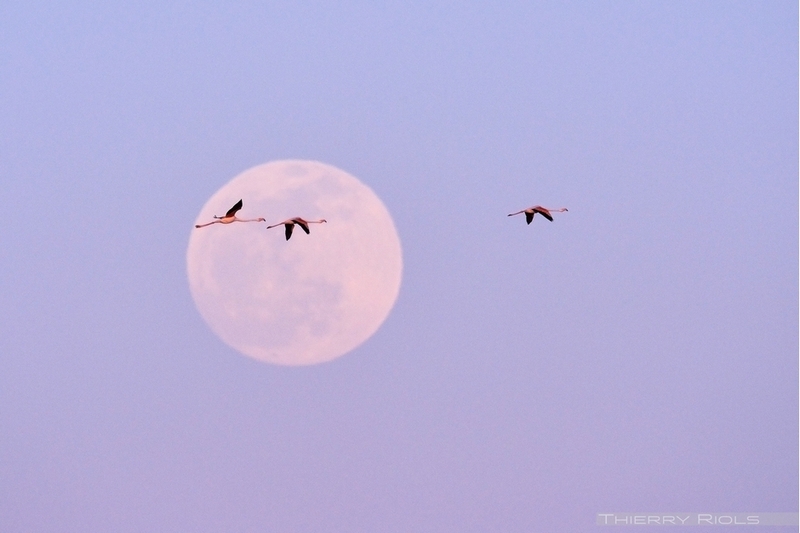 The Greater Flamingo - Phoenicopterus roseus - is a gregarious animals living in groups. 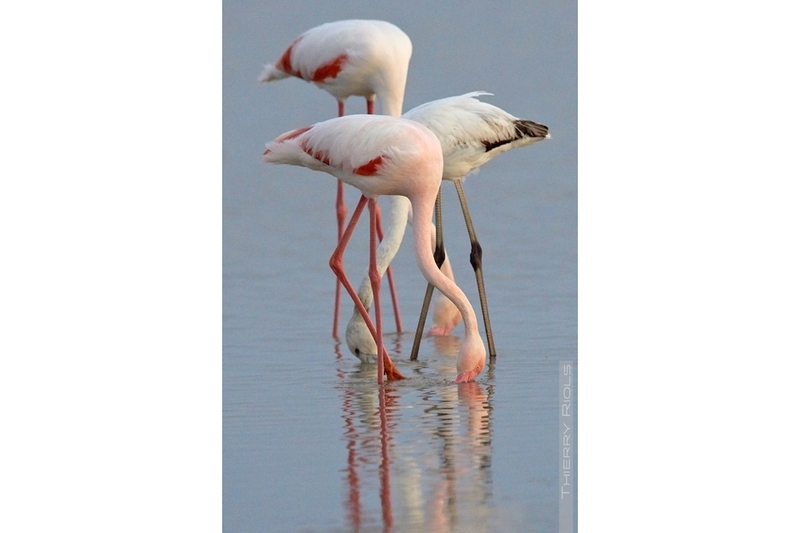 its pink color comes from small crustaceans known as Artemia, which he found in salty pond. 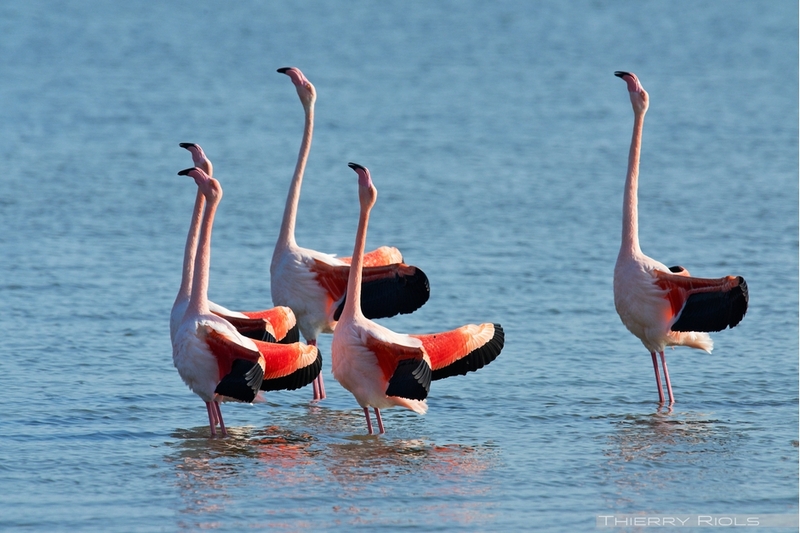 Chicks come together quickly at "nursery" and are white in the beginning then gray for become pink after 2-4 years. 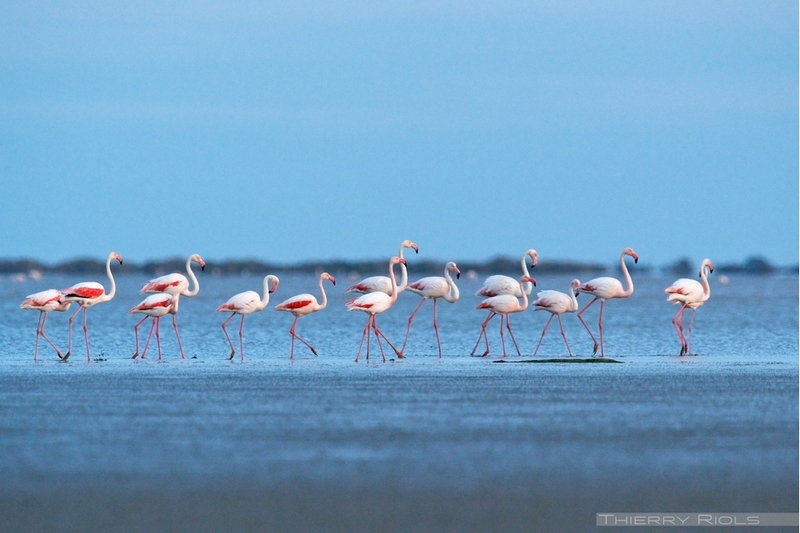 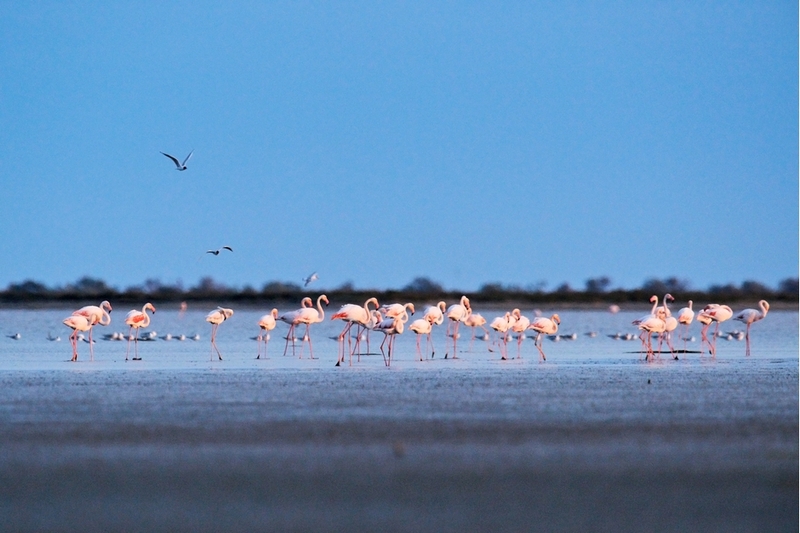 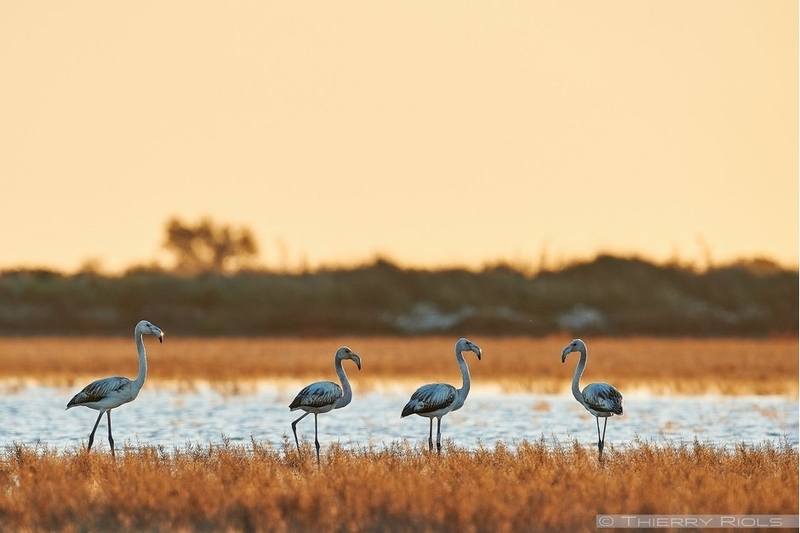 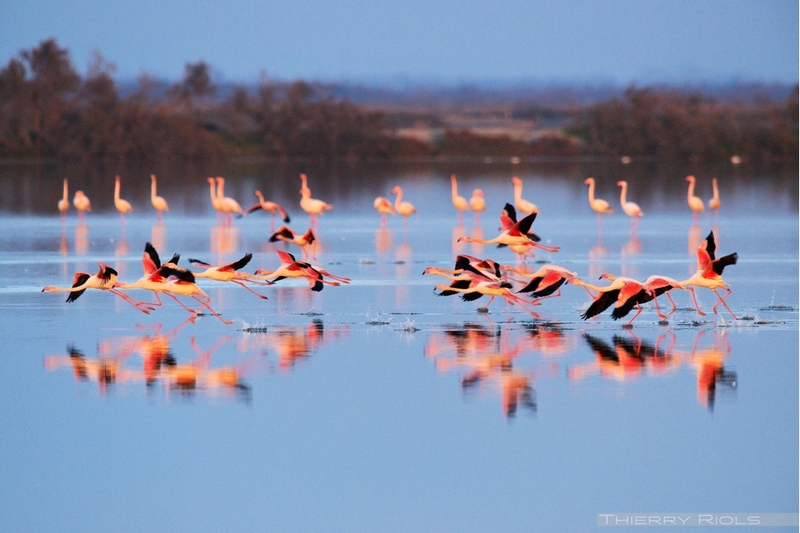 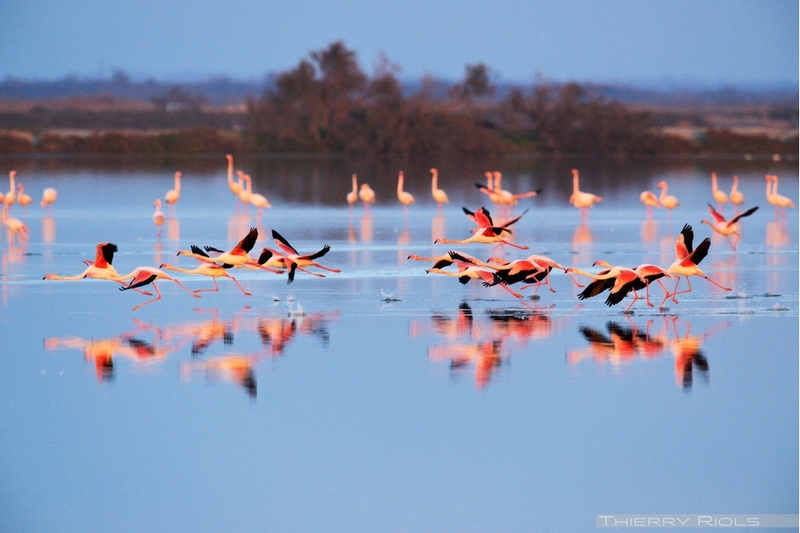 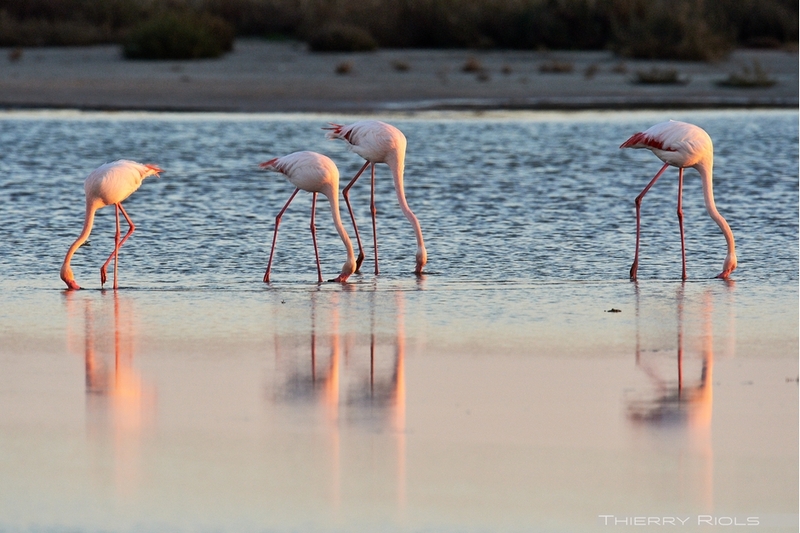 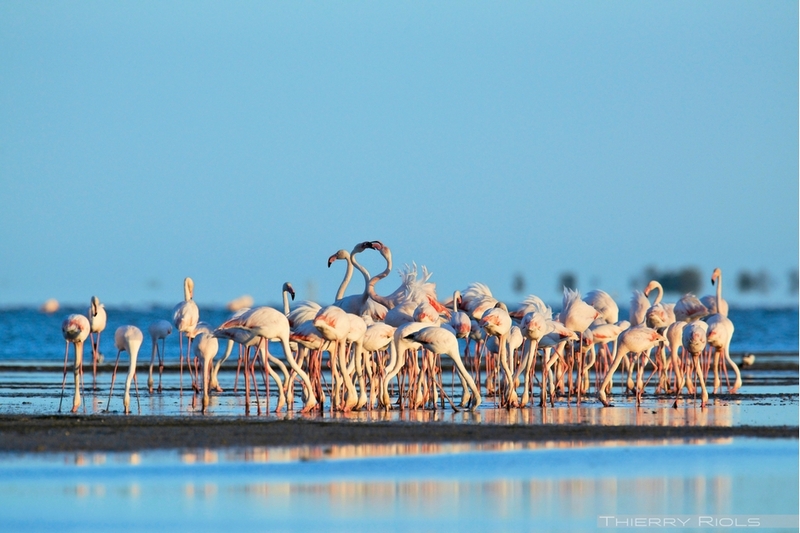 The Camargue is the only nesting flamingos in Europe, there are nearly 30, 000 people in the summer.